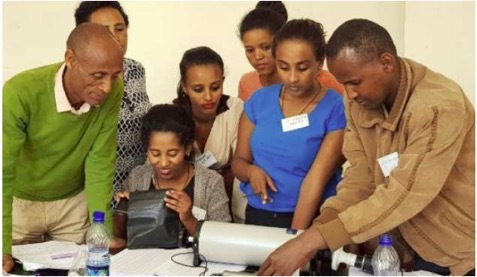 The Pan-African Thoracic Society (PATS) and the Ethiopian Thoracic Society (ETS) hosted a Foundational Spirometry Certificate of Competence Short Course in Addis Ababa from 17th to 19th November 2017 at the College of Health Sciences of Addis Ababa University. Three successful days of learning were enjoyed by 24 delegates in the theory and practical application, measurement and interpretation of spirometry. “It was rewarding that many participants who had been performing spirometry gained new skills to be able to standardise their diagnostic evaluation techniques” said Lindsay Zurba, PATS Course Coordinator. “Those who had no prior skill learnt much during the training. 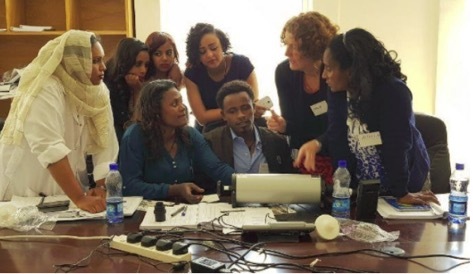 This indeed is a new dawn of quality spirometry in Ethiopia”, she added. 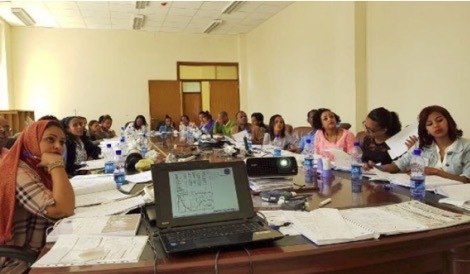 The training was supported by the NIHR-funded Global Health Research Unit on Lung Health and TB in Africa (IMPALA, grant 16/136/35), the European Respiratory Society, European Lung Foundation, and the MRC GCRF-funded Lung health in Africa across the Life course project (LuLi, grant number MR/P022006/1).